A new global search tool has been added! 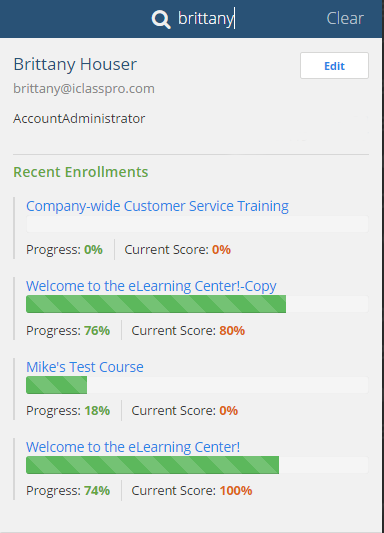 From any section of iLearnPro, begin typing in the new search box to find results in users, enrollments and courses! Each of these kinds of search results populates useful data right in the search! We call these results search cards! They allow you to see useful information like a user's role and email address, enrollment course progress and scores, etc.